Much has been said about Marvel’s Avengers: Infinity War after it ended. People have been speculating, even formulating their own theories about the fate of their favorite superhero. And then there are those who are left thinking, where were the others like the infamous Hawkeye, Thor’s Valkyrie, Black Panther’s Nakiya, even the Ant-Man and the Wasp? Even Captain Marvel had her share of the silver screen through her insignia at the end. Where could they have been during all those fights? Could Ant-Man and the Wasp be in the Quantum Realm? 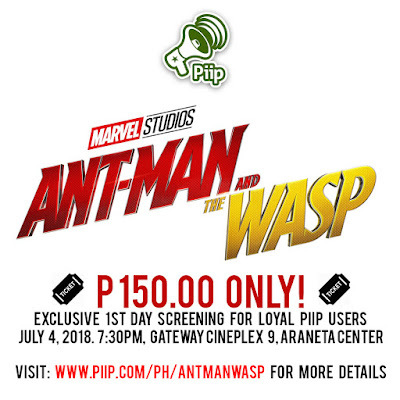 With Piip’s latest marvelous promo, Piipsters have an opportunity to see what Scott Lang and Hope van Dyne are up to for as low as Php 150.00 during the first screening day of the Ant-Man and the Wasp on July 4, 2018, 7:30PM, at the Gateway Cineplex, Gateway Mall, Araneta Center. Download the app now to Piip It! Limited slots available, reserve yours now! 1. Download Piip on Google Play Store or iOS Store, install and complete your profile details. 2. Locate the Ant-Man and Wasp Promo on Piip's Billboard. 3. Tap on the 'Piip It!' button to chat with our representative and reserve your tickets. 4. Come in green and get a chance to win a prize from Piip! 1. The Piip mobile app must be installed upon claiming of the tickets and during the block screening event. 2. Share the block screening event post on your social media (Facebook, Twitter or Instagram) with the hashtags: #PiipIt #PiipPH #PiipAntManWasp. 2. Please bring a valid ID and the mobile phone used to reserve the tickets for verification purposes. 2. Promo participants are required to have Piip app installed during event as part of the entry verification process and the pre-event games. To know more about Piip’s latest promo, visit: http://024digital.com/clients/piip/antmanwasp/ .process and the pre-event games. 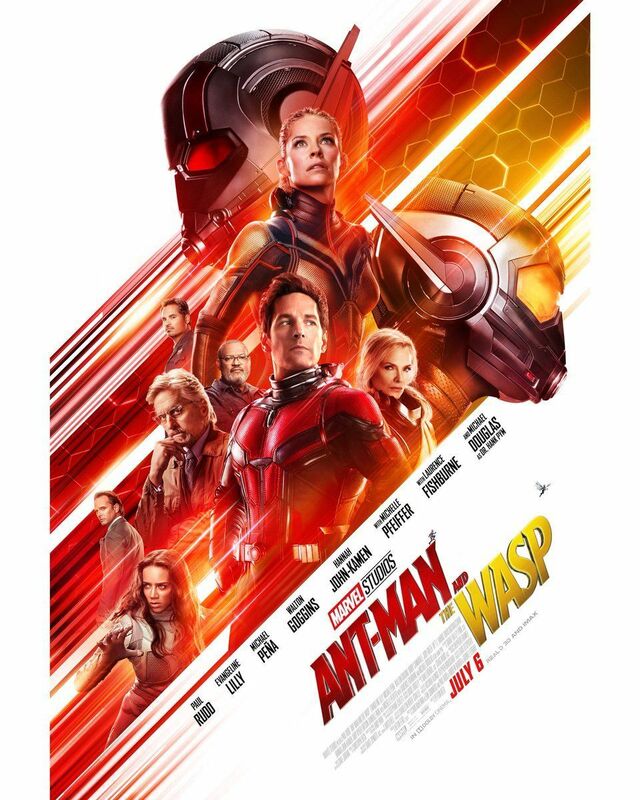 To know more about Piip’s latest promo, visit: http://024digital.com/clients/piip/antmanwasp/ .